On Sunday, I am traveling to Haiti with the U.S. Conference of Catholic Bishops to help assess the impact that earthquake had on the local Church. The U.S. bishops are providing immediate assistance through Catholic Relief Services but we have created a commission that will advise the Subcommittee on the Church in Latin America that will also provide long-term help to the Church in Haiti as they rebuild. 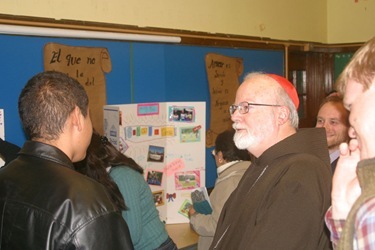 I am going with Father Andrew Small, who heads the secretariat for Latin America, Archbishop José Gomez of San Antonio, Bishop Thomas Wenski of Orlando and Auxiliary Bishop of Brooklyn Guy Sansaricq, who is Haitian. Back in the 1970’s then-Father Guy was the priest in Brooklyn who helped me to begin the Haitian apostolate in Washington. Never did I imagine that 40 years later we would be going to Haiti in circumstances like this. 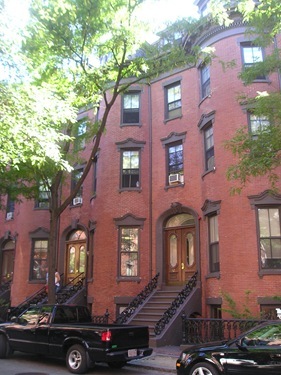 We’re very pleased that there has been such a generous response from Boston for support of Haiti. 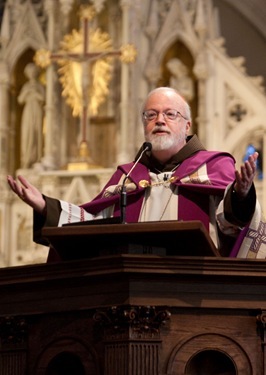 Not only have our parishes raised about $2 million for Catholic Relief Services but I was told that a local foundation has given $500,000 to the Papal Foundation for the works of Mother Theresa’s sisters. In addition to financial help, several of our priests, including Father Osterman and Father Unni, are involved with institutions in Haiti. 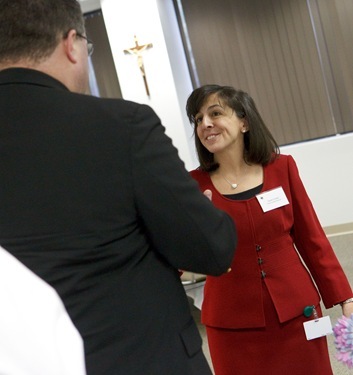 Our Catholic hospitals have sent out 75 doctors and nurses in conjunction with the Order of Malta. There have been many points of connection. 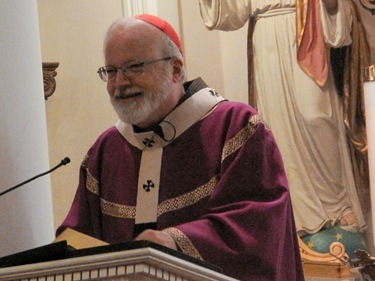 When I return from Haiti, we will be celebrating a memorial Mass on Sunday, March 7 for Archbishop Joseph Miot and all of those who have perished in this terrible earthquake. Earlier this month I had the opportunity to meet with one of our priests who serves as a military chaplain, Capt. 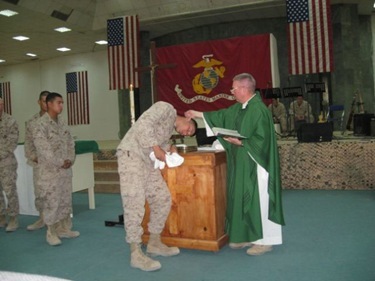 William Kennedy, the Command Chaplain for the 1st Marine Expeditionary Force. Father Kennedy will be accompanying his unit as they are deployed to Afghanistan in the coming weeks. They will be stationed for one year in the Helmand Province in the south of Afghanistan. 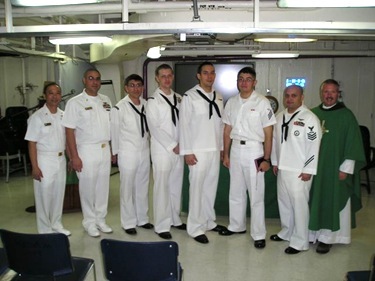 Our Archdiocese has always been blessed to have a number of priests assigned as chaplains in the military. Their service to the women and men who are far from home and often in uncertain circumstances is a very important ministry. I give thanks for the dedication and courage of the men and women of the military and their chaplains and each day pray for their safe return home. Last Friday, I met with Lisa Alberghini of the Planning Office for Urban Affairs and John Noone, Chair of the Board, for our Annual Member Meeting. 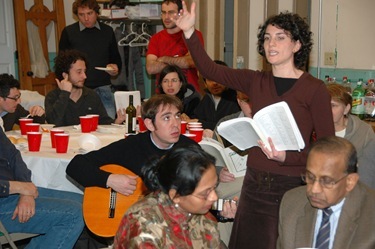 The Planning Office is a social justice ministry of the Archdiocese that develops permanent affordable housing on behalf of the Church for people of limited means. We talked about work they are doing with Pine Street Inn that will provide permanent housing for the homeless in Boston’s South End, and about a housing development they hope to begin working on soon in Dorchester with St. Mary’s Women and Children’s Center (another Archdiocesan ministry). 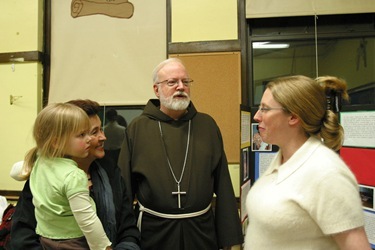 We also discussed the Hayes Building in Haverhill, which is now under construction and will provide affordable housing to low-income working families when it is complete, and about Rose Hill Manor (named after St. Theresa of Lisieux, who was known as “Little Flower”), in Father Gene Tully’s Parish in Billerica. Rose Hill Manor will be affordable elderly housing that is scheduled to begin construction this summer. We also talked about a delegation of Jews and Arabs from Israel that recently visited the Rollins Square development in the South End. Rollins has become well known for its mixed-income housing where all people can live with dignity and respect in homes they can afford. 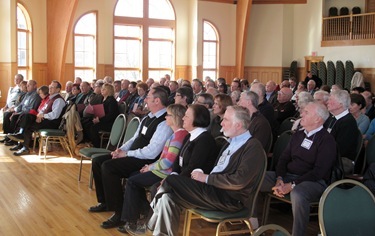 The Israeli group was in the United States studying successful housing models, and they enjoyed breakfast at the Rectory of the Cathedral of the Holy Cross prior to their tour of Rollins. Finally, we talked about an attempt by some to eliminate the State’s affordable housing law, known as Chapter 40B. 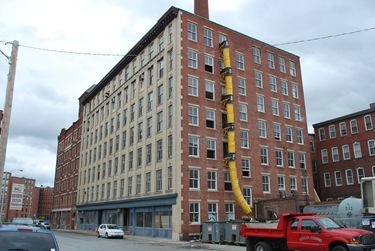 Chapter 40B is responsible for providing more than 29,000 units of housing for low and moderate-income households across the Commonwealth, and it will be very important that we preserve this critical housing tool. 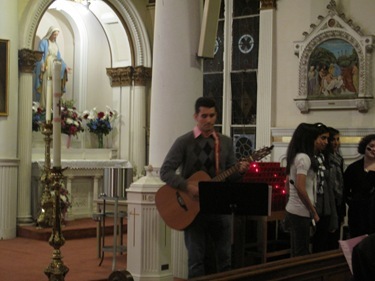 That evening, I went to St. Leonard’s Parish in the North End to be with our young adults. 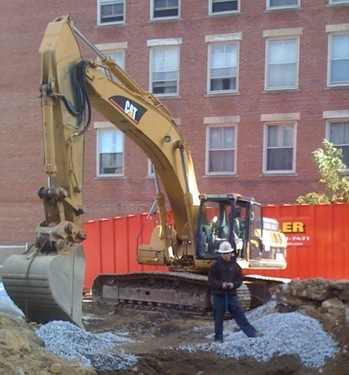 For some time now, we’ve been having activities once per month for young adults in the North End. The idea came from discovering, while going for ice cream at the Piazza Navona in Rome late one night, that all the young people were congregated at the Church of Sant’Agnese for Mass and adoration. 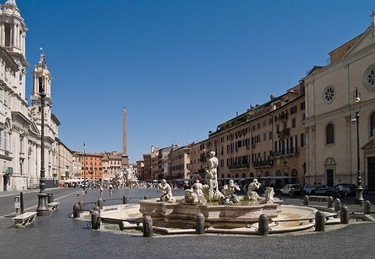 It occurred to me that the North End, with its hundreds of restaurants, is our version of Piazza Navona— it is where people go for a pastry or ice cream and the streets are always busy and full of young people. So, we approached Father Antonio Nardoianni, pastor of St. Leonard’s on Hanover Street, and he has generously allowed us to use the church. 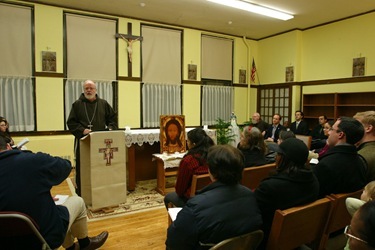 Last Friday, which was the first Friday of Lent, we had an hour of adoration, confessions, Mass, and then socializing after Mass. We had a full church of young people. Some people who were going down the streets saw the lights and came in. 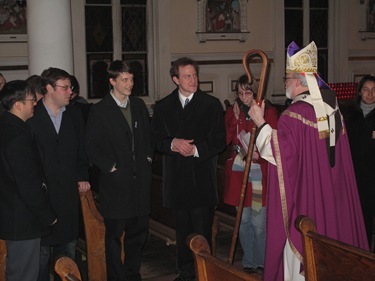 Other were invited by the seminarians who are usually outside before Mass inviting people to join us. 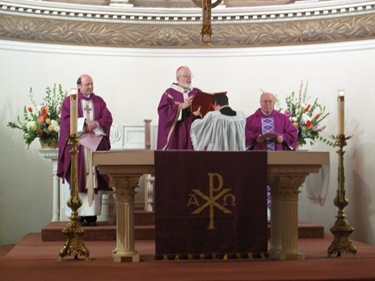 On Saturday, I attended the annual Permanent Diaconate Convocation at St. Patrick Parish in Stoneham. Deacons Dan Burns and Pat Guerini, as well as Father Bill Kelly, are responsible for the ongoing formation for the deacons, and they are doing a terrific Job. 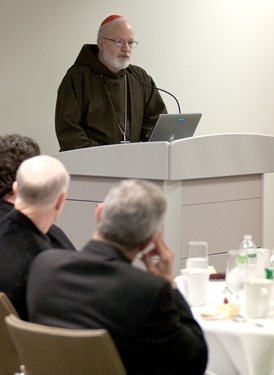 During the convocation they had Father David Couturier, the director of our Pastoral Planning Office, speaking to them on that topic. I celebrated the Mass for them and afterwards gave them a short talk and took questions and answers. 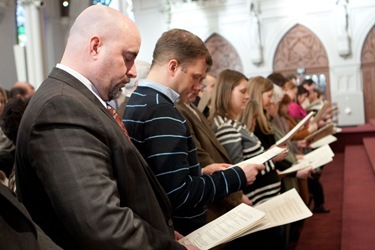 We’re very pleased that soon we’ll be having an ordination class every year among the deacons. 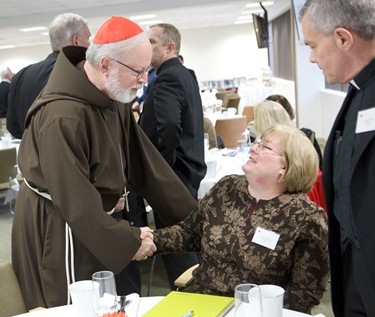 We see this is an important part of our strategy to meet the growing pastoral needs in our parishes going forward. 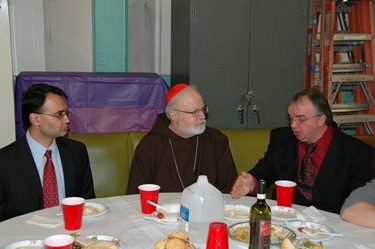 Later, I went to St. Jerome in Weymouth for another vicariate dinner. It was a very large turnout. 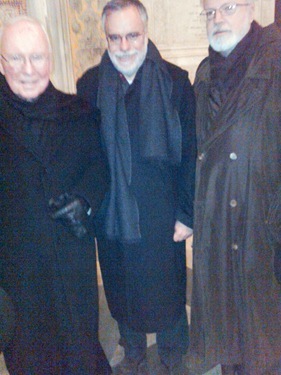 Father Bob Blaney, the pastor there, was very welcoming and Bishop John Dooher was also with us. 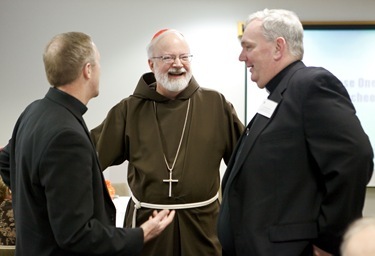 As I have mentioned in prior posts, we have been doing this during the Year for Priests as an opportunity for me to get together with the priests in each of the 20 vicariates. 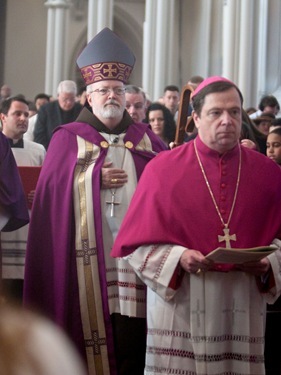 On Sunday, I celebrated the Rite of Election at the Cathedral of the Holy Cross. 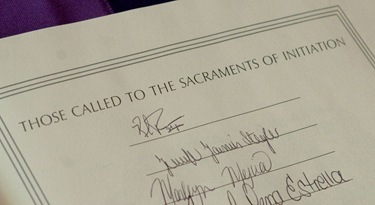 The first Sunday of Lent is always a very special moment in the life of the Church because in all the cathedrals in the world, bishops are receiving the catechumens and the candidates who will be baptized and received into full communion at the Easter Vigil at the end of Lent. 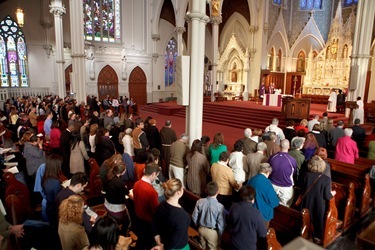 This year, we had over 600 people preparing to enter the Church, which for Boston is a very good number. It’s up 200 from last year. 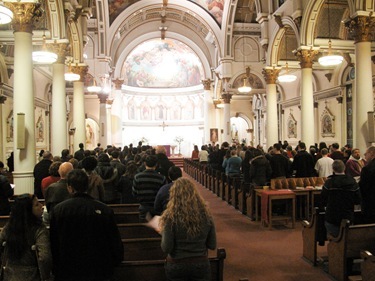 As we often do, we had two sessions because the Cathedral is not big enough to hold those who want to attend. 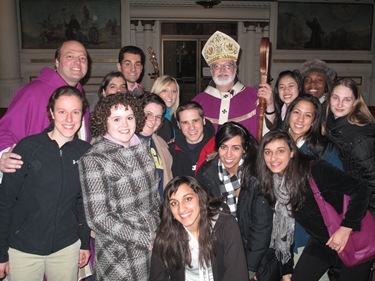 The rite is an opportunity for these new Catholics to experience the catholicity of the Church because so many different ethnic groups are represented. 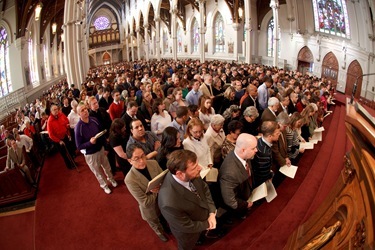 Also the fact that the celebration is in the Cathedral helps them realize that they are joining, not just an individual parish, but a larger community of the diocese and universal Church. On Monday, I celebrated Mass for Communion and Liberation at the Blessed Sacrament Chapel at the Cathedral of the Holy Cross. 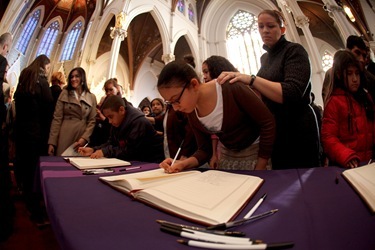 It was a memorial Mass marking the anniversary of the death of their founder, Father Luigi Giussani. We celebrated it actually on the feast of the Chair of St. Peter. Father Giussani was a high school religion teacher in Italy who began a youth movement that has grown into a very important reality in the life of the Church. 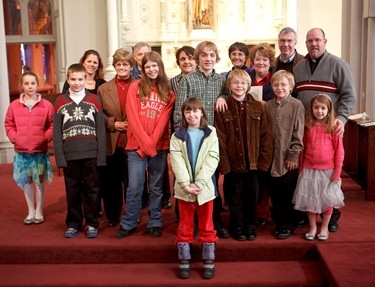 CL now not only has lay people but priests in the Priestly Fraternity of St. Charles Borromeo who are in the archdiocese now, as well as consecrated members — men and women who make vows, live in the community, and pursue their secular professions. 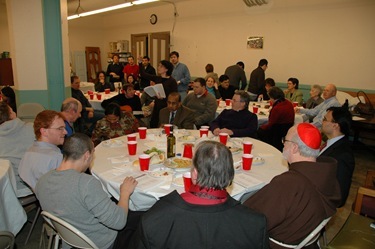 In fact, last Saturday I had a nice visit with a community of the Memores Domini — the consecrated members — who are living in the North End. They came to tell me they are expecting more members to come to be part of their community, so their presence will be permanent here in Boston. I was very pleased to hear that news. They happen to be Italians, so it’s a great blessing to have them in the Italian neighborhood there where there are many other immigrants. 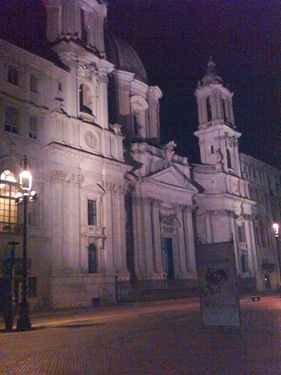 So we had the Mass at the Cathedral, and afterwards there was a dinner. There were testimonies and singing. 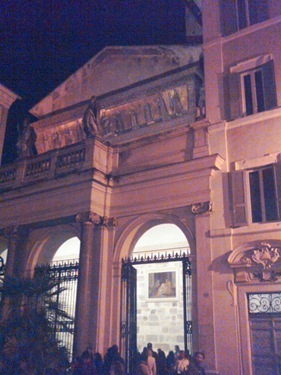 On Tuesday evening, I met with our local Community of Sant’Egidio. When I was in Rome, I met with the founder, Andrea Riccardi, at Santa Maria in Trastevere, a very ancient and beautiful Church. 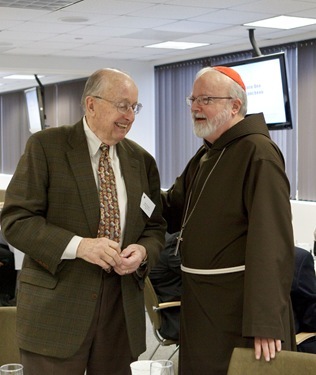 Cardinal Stafford gave me a tour and explained many of its important features. I did not realize that that church had been Cardinal Gibbons’ titular church. Cardinal Gibbons was the Archbishop of Baltimore, and Cardinal Stafford started his Episcopal ministry as auxiliary in Baltimore. 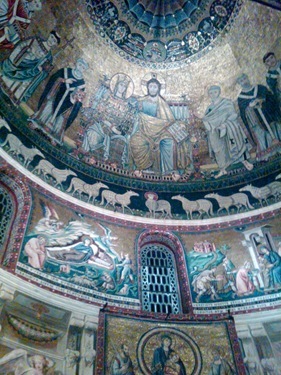 Some of the most ancient mosaics and oldest icons in Rome are in that church. 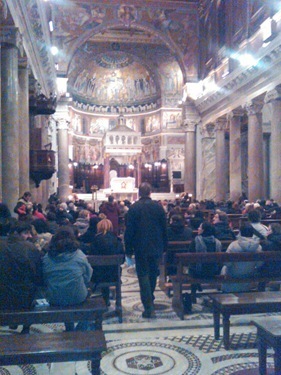 It was very encouraging to see the church filled with young people who were there for the Mass of Sant’Egidio. In Boston, we had a dinner and a meeting with their leadership, and then a prayer service with many people who are participating. They have a School of Peace for young people and they have a great ministry of visiting nursing homes. 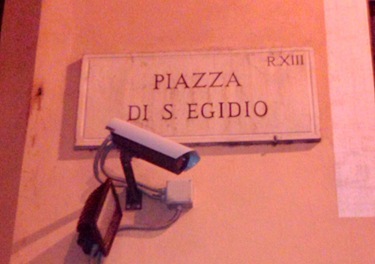 Sant’Egidio, as a community, has done quite a lot in the area of social justice, particularly working for peace in various countries in Africa suffering through civil war. They have a major initiative to abolish capital punishment around the world. We’re very pleased to have communities like Sant’Egidio and Communion Liberation in the archdiocese. 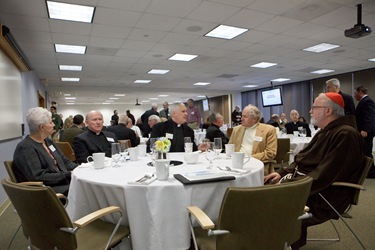 On Wednesday, I had a luncheon here at the Pastoral Center with pastors and finance council representatives from parishes participating in the first phase of an improved financial relationship model between the parishes and archdiocesan central ministries. 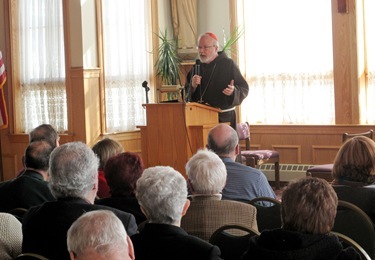 We are trying to restructure the way that the central ministries in the archdiocese are supported through the parish contribution. 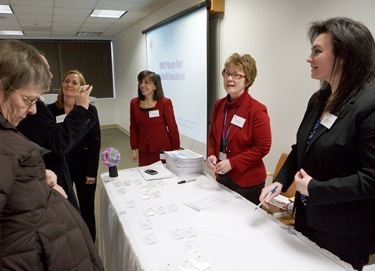 For over a year, many meetings have taken place exploring different options to accomplish this goal. Thirty-five parishes volunteered to be pilot parishes for this first phase of the improved financial relationship model. 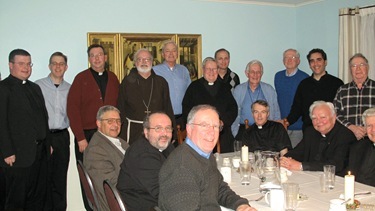 As a kickoff, we had a luncheon here for the pastors of those parishes and representatives of their finance councils. Then, there was an explanation of how this process is going to work. 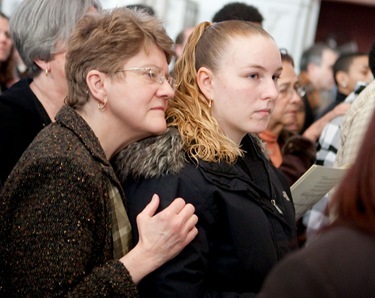 It is our hope that by increasing parish offerings, it will be easier for the parishes to support the central ministries of the archdiocese, and that will allow the Annual Appeal to be more involved in supporting works of mercy and evangelization rather than administrative tasks. 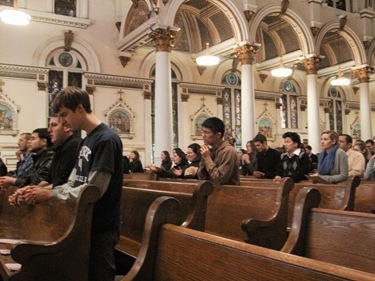 Last Wednesday, in over 300 different venues throughout the archdiocese, we had priests hearing confessions. By all reports, many people responded to the invitation of The Light Is On For You, despite the bad weather. 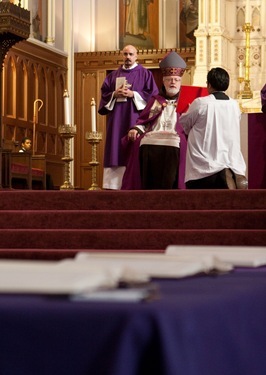 I was pleased to be at St. Columbkille’s in Brighton hearing confessions. 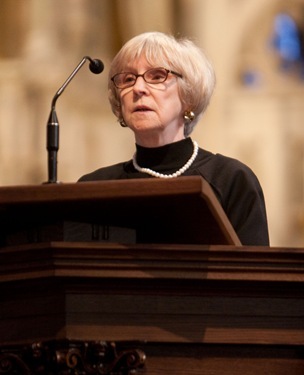 Finally, I want to remind you that tomorrow is the annual Boston Catholic Women’s Conference. For the first time, we are holding this event at the Cathedral. I encourage you all to pray for the success of this important initiative.